Our TENS has saved us a few trips to physio, so well worth it! 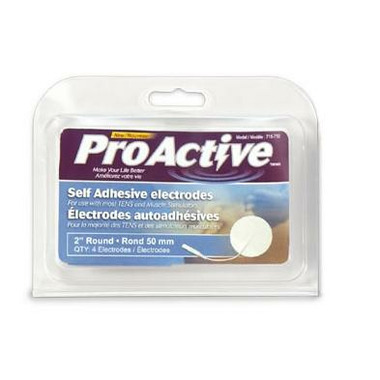 The original electrodes needed replacing - these are the same as the original ones that came with the unit. No problem at all. Great product! They're easy to apply and use and are quite comfortable. So far I like them better than the ones I received with my tens machine. Great product! These are the first replacement electrodes we've had to purchase for our TENS stimulator and the original electrodes lasted 2 years! I'm sure these replacements will last just as long. Comfortable, soft and easy to apply and remove. Good product. Stands up very well compared to the Dr. Ho stuff which is shoddy and lasts perhaps one-tenth the time. Wells is also an excellent and reliable supplier.